Actor Timothy Olyphant; designer Diane Von Furstenberg. 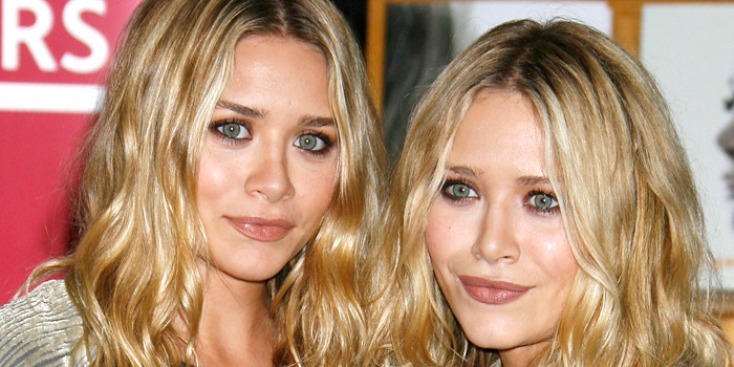 One artist is turning America into one big Olsen twin portrait. Do you wish you'd been a sitcom star while you were still in diapers? Do you secretly (or not so secretly) drape yourself in high-end finery to achieve a sort of Goodwill-chic aesthetic, while wishing someone would ask you to design a line of tween clothing for Wal-Mart? Then why not go whole hog and just become an Olsen twin? Thanks to the Internet and the (we imagine) prodigious free time and Photoshop skills of one DJ Baskin, now you can. Place your order on the website youaretheolsentwins.com and you and someone else (doesn't even have to be a twin, or even a sibling!) will be artistically morphed into Mary-Kate or Ashley (please specify which is which upon ordering) in an official You Are the Olsen Twins portrait that you can share with your grandchildren.